December's housing data kicked off on a dismal note as Existing Home Sales slumped 3.6% MoM (after a 5.6% surge in November, which was revised lower). Overall, 2017 sales of 5.51m were up 1.1% from 2016 - the smallest gain in three years. Sales of previously-owned U.S. homes fell in December for the first time in four months, as the market struggles with record-low supply and rising prices, figures from the National Association of Realtors showed Wednesday. 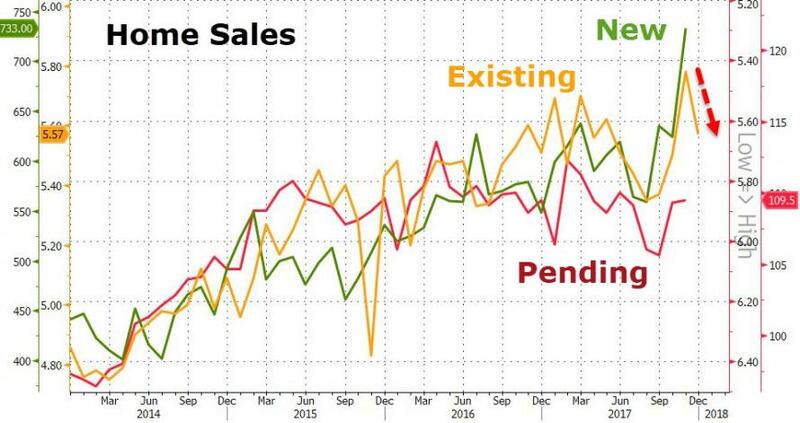 As Bloomberg reports, the decline, deeper than economists estimated, indicates inventory issues across the U.S. are limiting Americans’ ability to purchase despite low mortgage rates and a solid job market. Higher prices spell lower affordability, particularly for first-time buyers: The median selling price rose 5.8 percent in 2017, easily outpacing wage gains. 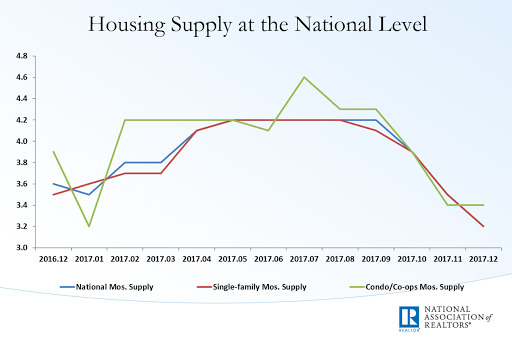 “Inventory concerns remain with us,” with no immediate sign of a reversal, Paul Bishop, NAR’s vice president of research, said at a press briefing accompanying the report. The December figures also reflect a squeeze on affordability, even as demand continues apace due to solid job growth and low mortgage rates, Bishop said. “Price growth is going to be a little slower than it might have been without the tax reform,” and sales in 2018 are forecast to be little changed at 5.52 million, he said.